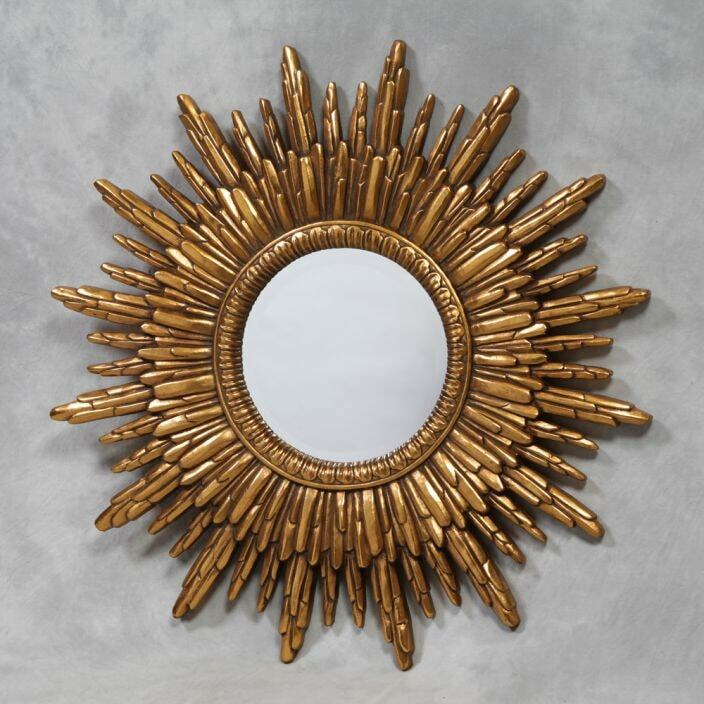 A unique addition to our range of miscellaneous mirrors comes this exceptional antiqued gold mirror. Featuring a quirky starburst sun designed frame finished in gold and crafted from resin, this mirror will impress in a variety of settings. Handcrafted and carefully built by experts, this mirror is sure to astound.